Four tiered square cake. 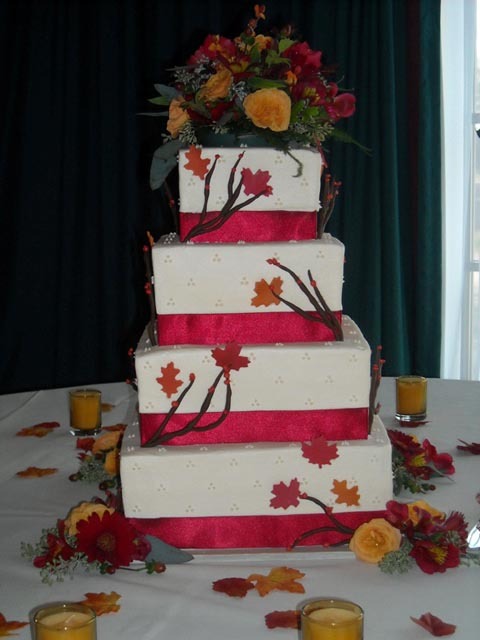 Fondant fall leaves fresh and flowers. Ribbon border on each tier.